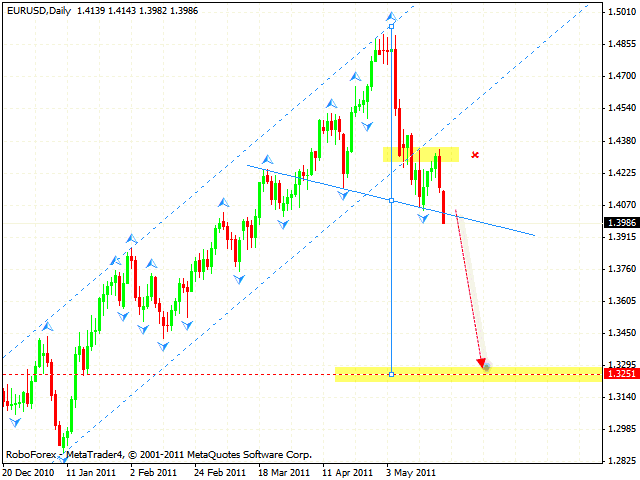 The pattern, which is being formed here, may be a reversal one, “head & shoulders”, with the target in the area of 1.3250. 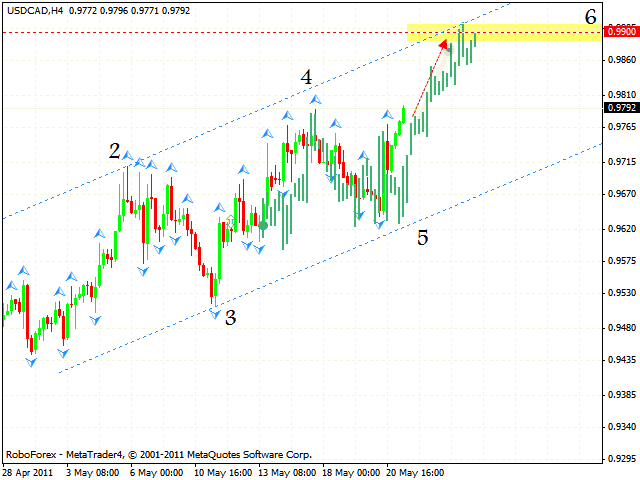 The price has left the rising channel and now is breaking the neckline. If the price is fixed below the level of 1.4040, one can consider selling Euro with the stop above 1.4310 during a long term period. Pound keeps moving inside the rising channel with the target in the area of 1.5882, one can consider the tight stop sales. If the price grows higher than the channel’s upper border, this case scenario will be cancelled and we will recommend you to close short positions. 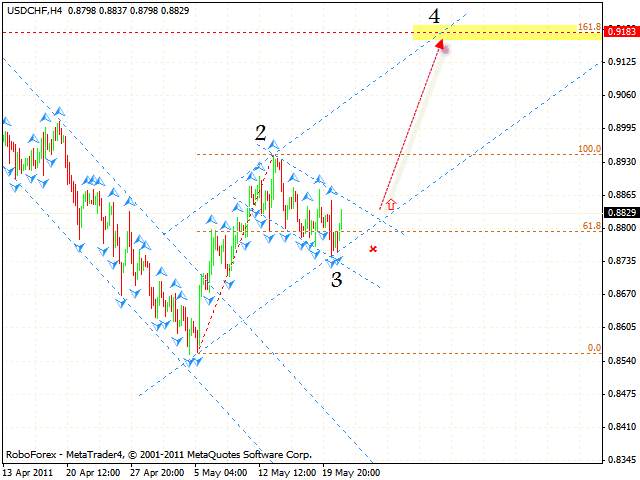 In case of Franc the target in the area of 0.9180 still remains in effect. After the price breaks the descending channel, one can consider buying the pair. The stop must be below 0.8740. If the price breaks the rising channel’s lower border and leaves it, this case scenario will be cancelled. Canadian Dollar is moving according to the forecast. At the moment we should expect the pair to continue growing into the area of 0.9900. 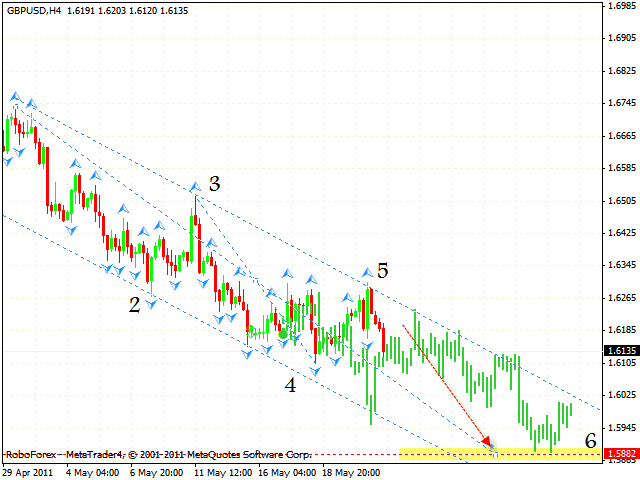 One can consider buying the USD/CAD currency pair with the tight stop. If the price leaves the channel, this case scenario will be cancelled. The GBP/JPY currency pair is moving inside the descending pattern with the target in the area of 127.11. 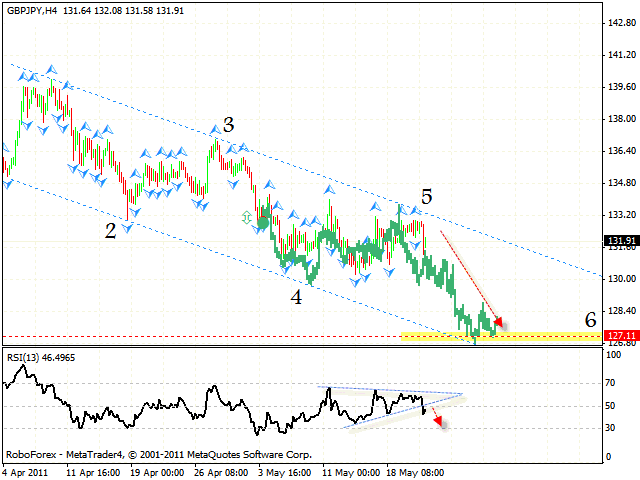 The RSI indicator has left the “triangle”, one can consider selling the pair with the tight stop. But if the pair grows higher than 133, this case scenario will be cancelled.